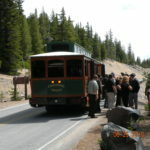 FOR THE EXPERIENCE OF A LIFETIME COME RIDE THE TROLLEY ! 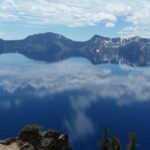 HAPPY 2019 ! 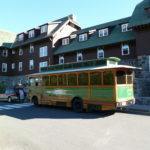 Trolley season is fast approaching, are you making your family vacation plans yet? 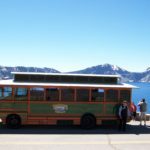 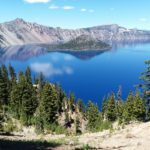 Crater Lake is a must see for all ages, and what a better way than to enjoy the majestic beauty of one of the “Seven Wonders of The World” than from aboard one of our historically designed Trolleys. 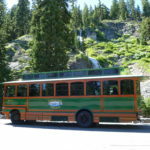 Leave the driving to us and enjoy one of six daily, two hour, Ranger guided and narrated Trolley tours around the Rim of the Lake. 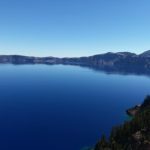 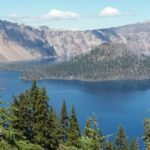 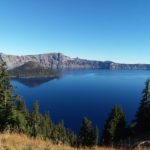 The Rangers will talk about the history and formation, answer questions and there will also be 5 to 7 stops during your ride to allow for picture taking or to just take in the unmatched beauty that Crater Lake has to offer. 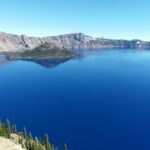 Please check the website in early spring for updates and starting dates. 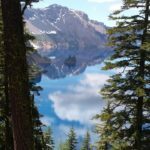 Spring is right around the corner so start making your plans now ! 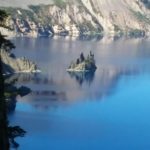 We look forward to seeing you at the lake. 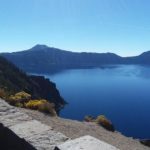 The service is part of The Shuttle based in Klamath Falls, Oregon which has operated as a transportation company for nearly two decades. 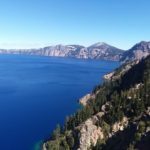 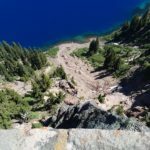 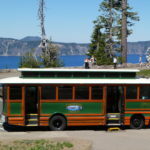 There are currently three historically designed trolleys that will operate at Crater Lake each day. 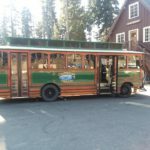 Each of the trolleys will be able to accommodate 25 passengers for each trip. 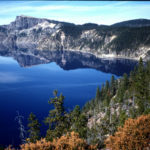 The tour will entail a two hour tour around the Rim Drive of the lake with several stops at specific areas of interest. 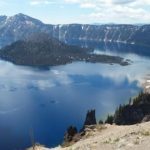 The tour includes a National Park interpreter/guide that will provide information about the unique features of Oregon’s only National Park so visitors can learn more about the Park on their visit. 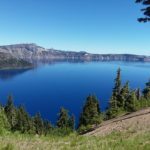 The trolleys are ADA compliant and are designed to accommodate visitors that may have some disabilities. 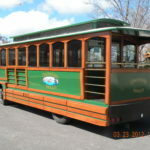 Please know that pets are not allowed on the Trolley tours.